When Margaret’s fiancé, John, is hospitalized for depression in 1960s London, she faces a choice: carry on with their plans despite what she now knows of his condition, or back away from the suffering it may bring her. She decides to marry him. 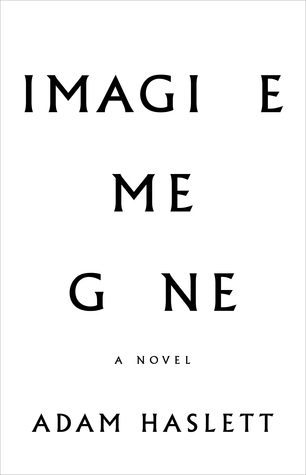 Imagine Me Gone is the unforgettable story of what unfolds from this act of love and faith. At the heart of it is their eldest son, Michael, a brilliant, anxious music fanatic who makes sense of the world through parody. Over the span of decades, his younger siblings–the savvy and responsible Celia and the ambitious and tightly controlled Alec–struggle along with their mother to care for Michael’s increasingly troubled and precarious existence. This book was something special and it certainly isn’t for the faint of heart. I had to read this book over the span of several days, to take a break from the story. The chapters alternate to follow the personal lives of different members of a family, all of whom are trying their best to support each other while maintaining their own lives and well being. They all circle around Michael, the eldest son of the family who suffers from severe anxiety and depression. This is a painfully realistic representation of a family coping with mental illness as a unit, there is no happy ending and no miracle recovery from such an illness in many cases and this book deals with that unflinchingly. Haslett has a remarkable style of writing which complements his story perfectly, the voice he created for Michael was perfect. Michael perfectly understood himself, his need to recover and the burden his illness places on his family – he isn’t the usual crass description of self indulgently ‘mad’ that normally seems to accompany characters with any kind of mental illness. His family love him unconditionally but his illness makes him exceptionally needy in respect of attention and eventually personal care, as the book spans across decades of their lives it puts into perspective exactly how exhausting and heart breaking it can be caring for an adult who isn’t likely to recover. A tunnel with no light at the end. Each family member has their own responsibilities and priorities; bills, careers, relationship but they can’t fully embrace these things while they are caring for Michael and there are resentments, guilt and frustrations aplenty but the underlying truth is that they love him utterly and completely. Of all the characters in this book, my favourite would have to be Michael himself. He is incredibly empathetic, which is the cause/symptom of his problems and he knows that the way he is has a huge impact on the people he loves. He does everything he is capable of to do what makes them happy and to keep his independence, but as his health deteriorates he finds this even harder to do but this is still all he can think to do. This is an excellent book, perfect for anyone looking for a deeper insight into mental illness from a human perspective HOWEVER, this is not a happy story. It doesn’t end well and could be incredibly upsetting if you are close to someone who suffers from severe depression or suffer from it yourself (it was very upsetting to me, with a close relative suffering from moderate depression! ).